Let our repair technicians do the dangerous work for you, and give you peace of mind, that your door will be safely repaired to factory specifications. 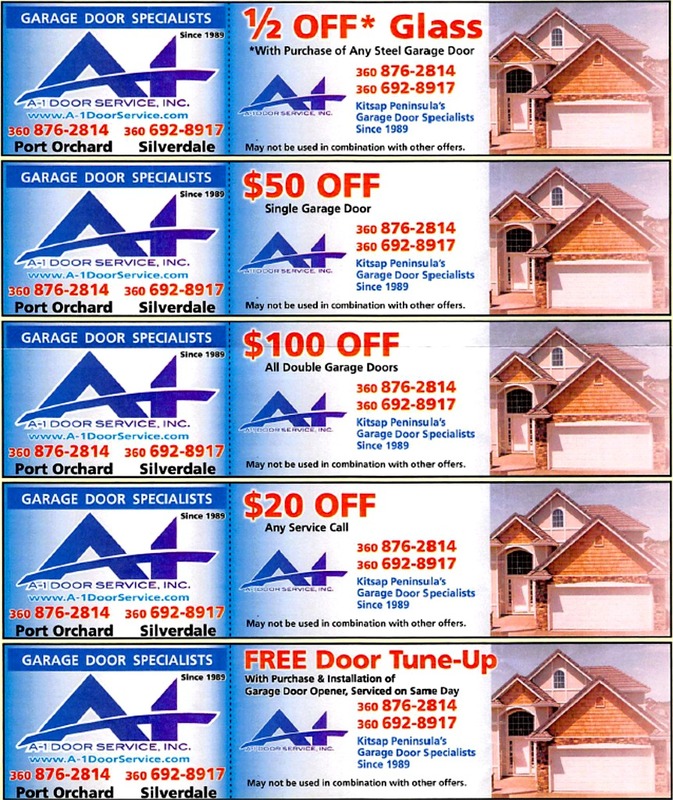 Free Door Tune Up with purchase and installation of Garage Door Opener, serviced on same day! 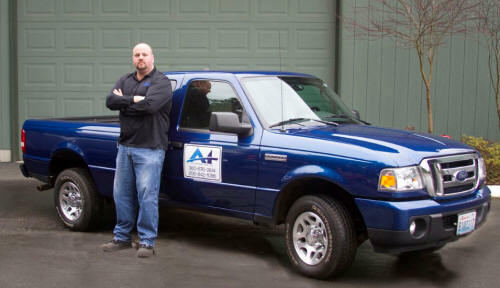 At A-1 Door Service, we offer a comprehensive repair service for most garage door types in and around the Kitsap County, Port Orchard area. Our trained garage door repair technicians will travel to your home or business, analyze the problem, and make the repairs, right on the spot. We fix it right the first time! 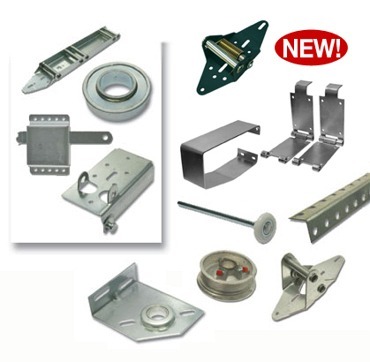 Have a broken garage door spring, or a torsion spring that needs to be tensioned properly? Don't feel safe touching those high-tension springs?